Los Angeles, California – Fun Roads Media Inc. today announced broadcast dates for its first original series: RV Road Test. RV Road Test offers a unique perspective on today’s RV lifestyle. 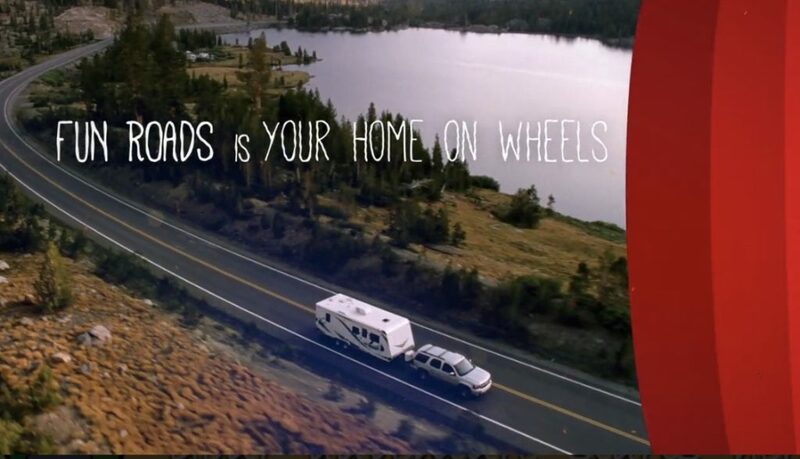 Season One features motorized RV’s built by Thor Motor Coach and is hosted by Steve DuVal. While the coaches are front and center; RV Road Test is also lifestyle heavy with a strong emphasis on how today’s RV tech lets RV’ers get the most out of their life on the road; whether it’s for a weekend or full-timing. With the 13-episode first season of RV Road Test now in the can; production of Season 2 is well underway. RV Road Test made its network debut on Fun Roads’ San Francisco affiliate Thursday, March 14, 2019, at 8:00 PM PST and will have new broadcasted every Thursday thereafter. Fun Roads Media Inc is an independent, privately held media company launched in 2016. Fun Roads Media’s flagship property: Fun Roads, is the only broadcast network that focuses on the leisure road travel market with a popular lineup of TV series and movies, including original shows like RV Road Test. Fun Roads is also the world’s largest broadcaster of RV-based travel broadcast quality television programming. For more information, visit www.funroads.tv. Thor Motor Coach (TMC) is the only Made to Fit® motorhome brand in North America. TMC’s diverse product lineup includes many of the world’s most recognized Class A and Class C motorhome brands. As an industry leader in innovative design, TMC builds a variety of unique styles, sizes and floor plans that feel custom-made – at a truly competitive price. For more information, visit https://www.thormotorcoach.com or call 800-860-5658.